As the sinister forces of the Countryside Alliance muster for a march on Parliament, The Rich at Play is a must-read. It raises issues of burning interest to those seeking to challenge the status quo, not only those campaigning against hunting with hounds. Those who believe that the intensity of debate over foxhunting is an issue only for sentimental softies who love furry creatures are in for a salutary shock. For behind the opposing sides in the hunting with hounds controversy are the deepest issues of all. It’s the haves versus the have-nots. Or put another way, those who own vast amounts of land in Britain are pitted against the vast majority, who have nothing to lose except possibly a mountain of debt called a "mortgage" . The Rich at Play systematically examines the myths and lies put forward to defend fox hunting with hounds and shows that they have no basis in fact. It reveals how the Royal Family patronises not only the "sport" but the Countryside Alliance as well. It chronicles an incident in which Prince William was reported as deliberately riding into a photographer while hunting with the Duke of Beaufort Fox Hunt. The outline history of land ownership in Britain tells how after the 1066 invasion, William the Conqueror laid down the supreme rights of landowners to hunt and do as they liked. In effect the land was stolen from the native English and Welsh by a few families who wielded power through force of arms. By defining huge tracts of England in law as "Royal Forest", William parcelled out vast areas to his family and other nobles. One of them was the Grosvenor family. The ancestry of the Grosvenor family goes back to Hugh Lupus, chief huntsman and nephew of William the Conqueror. The very name indicates his role: Le Gros Veneur is French for "The Big Hunter". Through the history of the Royal Forests and deer parks the book shows the inter-relation between hunting and land allocation over the centuries. 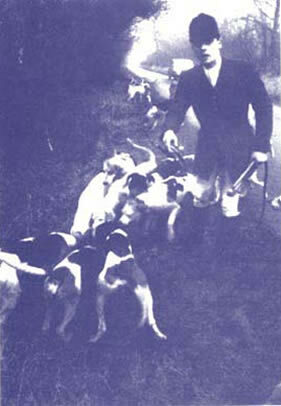 By the 1780s stag hunting gave way to foxhunting with hounds. The empires available for these hunts stretched from Bristol to Kensington Gardens in the case of Lord Berkeley’s hunt, while the Dukes of Grafton could chase foxes through Surrey, Norfolk and Northamptonshire. So, how have things changed today? Kevin Cahill’s highly praised book Who Owns Britain? (Canongate, 2001) shows though painstaking research that in England and Wales 0.28% of the population owns 64% of the land. Although 30%-50% of land in England and Wales is unregistered, it is estimated that 189,000 people own 88% of the land. And in addition to owning over 40 million acres of land, these 189,000 families receive a total of £4 billion in subsidies from the Common Agricultural Policy of the EU. The rest of the 59,000,000 in England and Wales people live on just 4.4 million acres. The book exposes the reactionary lies put forward by the Countryside Alliance, for example the attempt to cash in on the historic struggles of the British working class for its rights like Jarrow Marchers and Tolpuddle Martyrs. As the book points out: "The fight for working class freedom is qualitatively different from the right of the middle class (or whoever) to spend £1,000s going foxhunting." While the Alliance presents itself as representing rural society as a whole, including the poor, nine out of twelve of its Board of Directors are actually involved in blood sports. The closing chapter, "Neither Green nor Pleasant" sums up the Countryside Alliance as "a many-headed hydra and simplistic or one-sided characterisations of it will never represent its true essence. There is however more than circumstantial evidence that indicates that underneath the respectable leadership, there is the usual ‘urban’ mixture of nationalists and racists".